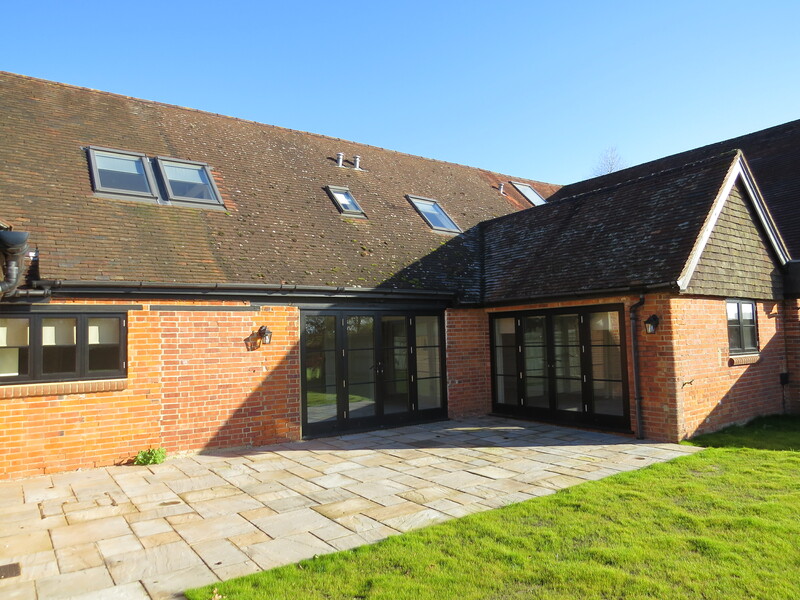 This modern, converted terraced barn has been thoughtfully designed to provide spacious and stylish accommodation over two floors. The front porch leads to a large entrance hallway, with adjoining utility room with space for washing machine and condenser dryer, a ground floor W.C, a study / additional bedroom and a wonderful open plan kitchen / dining and sitting room area, with large French doors and windows flooding the area with natural light, overlooking the rear garden. 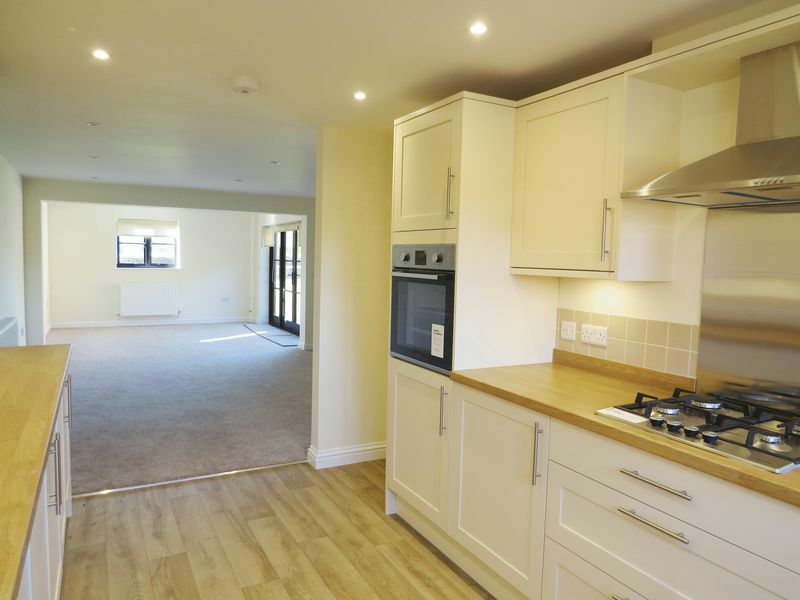 The kitchen provides integrated gas hob, electric oven, and space for a dishwasher and fridge freezer. 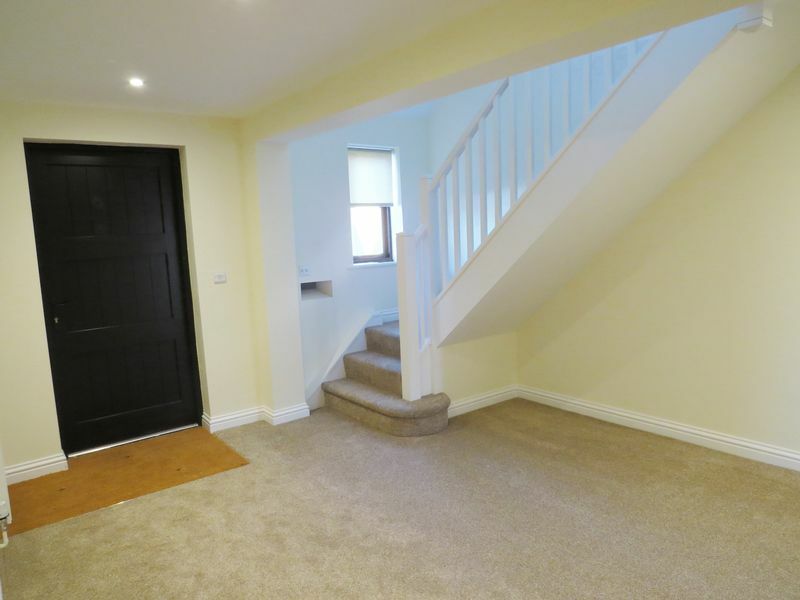 The first floor has three good size bedrooms, one of which is served by an en suite shower room and generous fitted wardrobes, there is a further family bathroom with separate shower and bath, and airing cupboard. 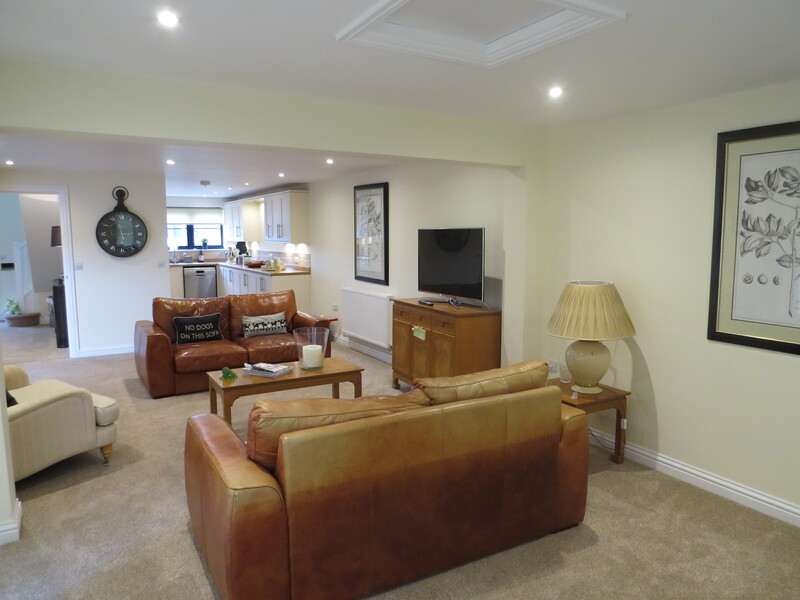 Externally, there are two allocated parking spaces available to the front of the property and a large rear garden, mainly laid to lawn, with a terrace and shed to the rear.